No, it's not Christmas season yet beloved humans, it's the Cine Europa once again. Wow. Time is really flying so fast. I', just as excited as everyone else (especially the loyal followers). 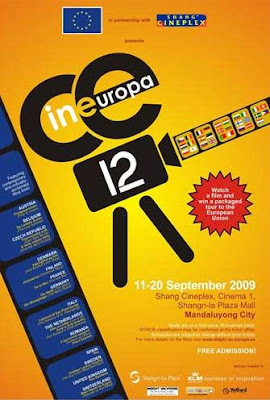 This will be my fourth year of watching Cine Europa would you believe it??? Too bad my original Cine Europa pardner isn't here to watch with me this time cos she's frolicking in chilly Baguio. No, make that bumming around haha.